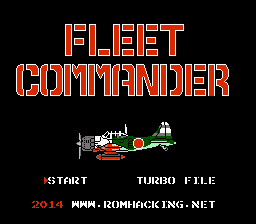 Fleet Commander is a strategy game for the Nintendo Entertainment System. 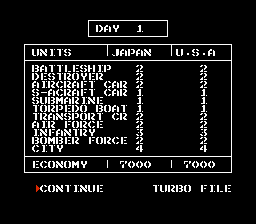 Here is a full 100% English release for Fleet Command on the Famicom system. 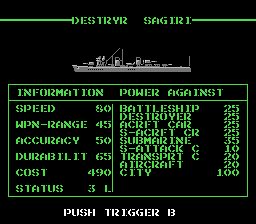 The game is based on a WWII battle but the names of the opposing forces were changed to Algon and Proton. 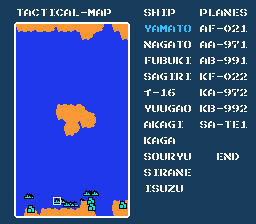 Now they have been changed back to the original based forces which were the U.S.A & Japan to reflect what it was originally supposed to be. 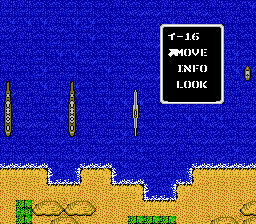 Also the title screen has been redone to look more like what it is on the box art. Enjoy the release and if there are any issues please feel free to contact us. Also included in the zip is the box art, picture of the cart, and pictures of what came with the game.